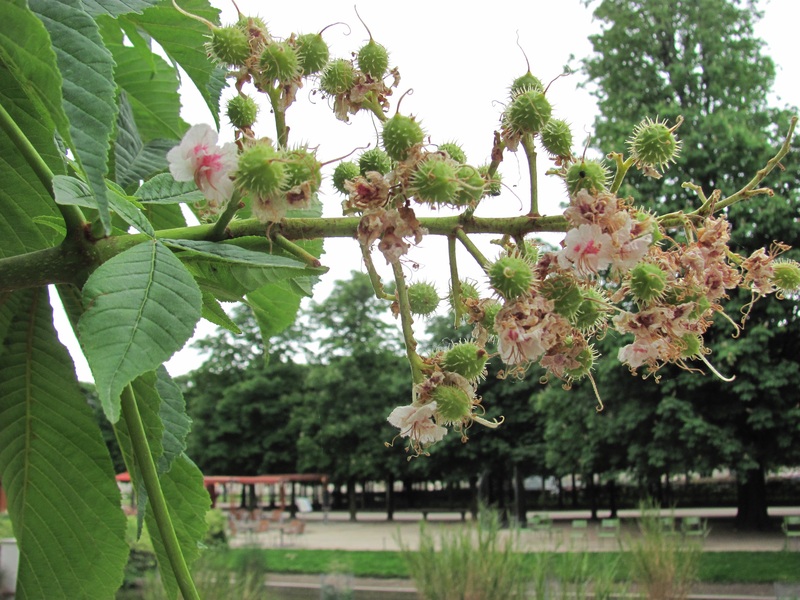 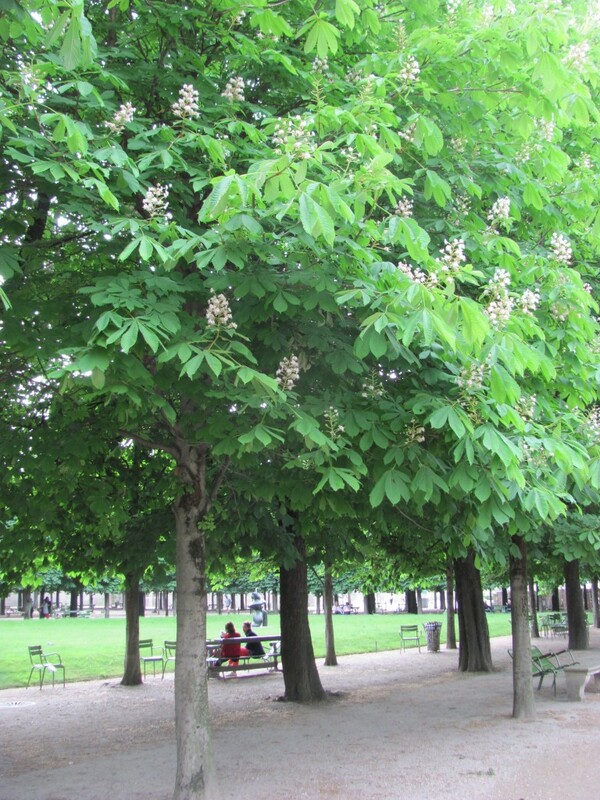 Aesculus hippocastanum in leaf and flower , Garden of The Tuileries, Paris France. 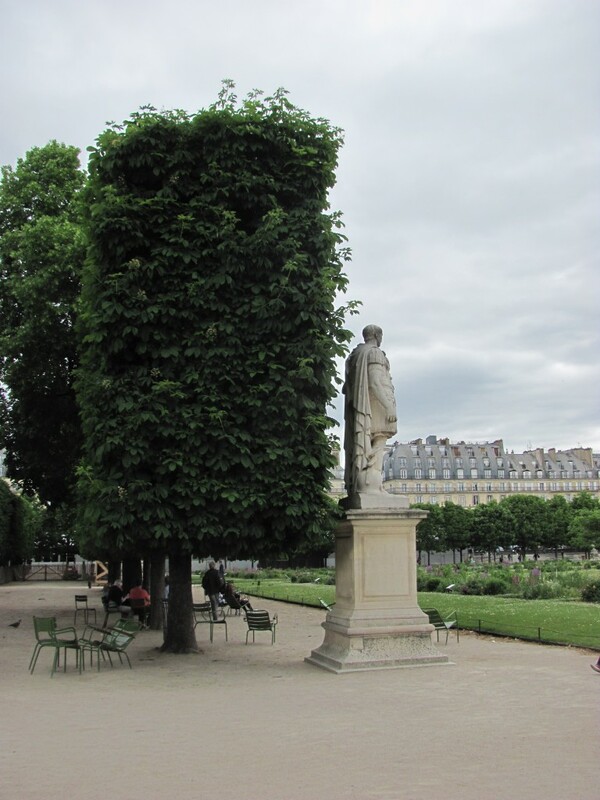 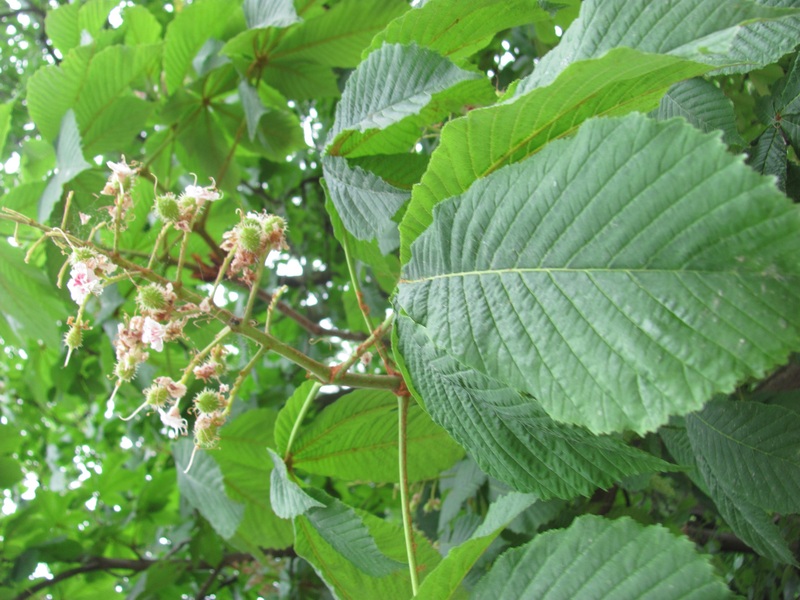 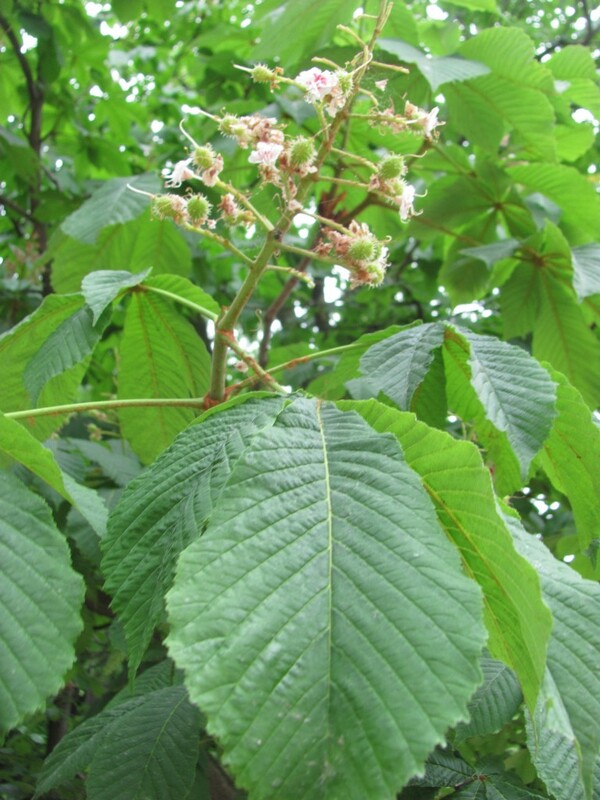 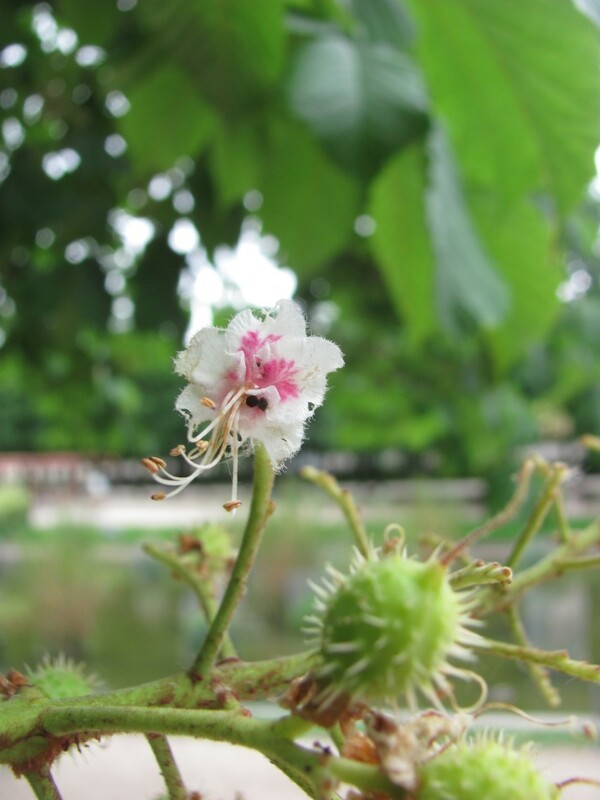 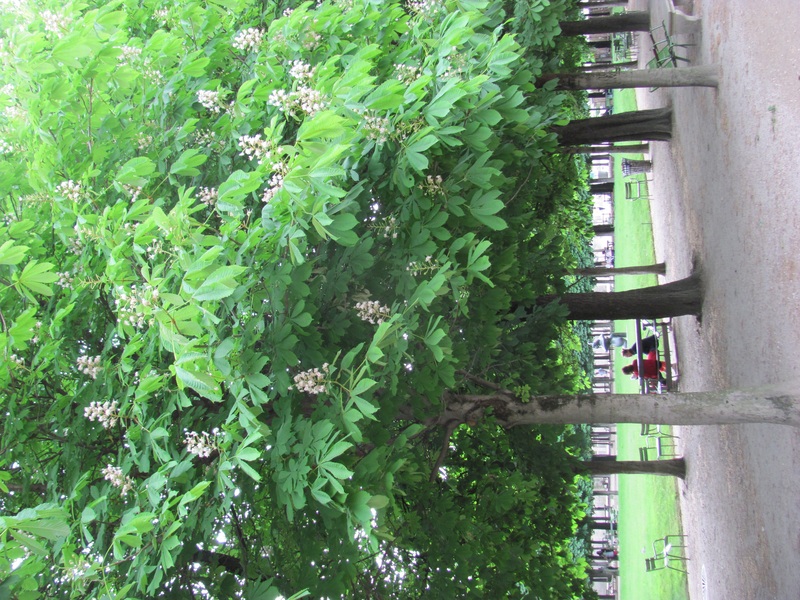 Very commonly planted in Paris, the horse chestnut tree can be found on many grand Boulevards and formal park settings. 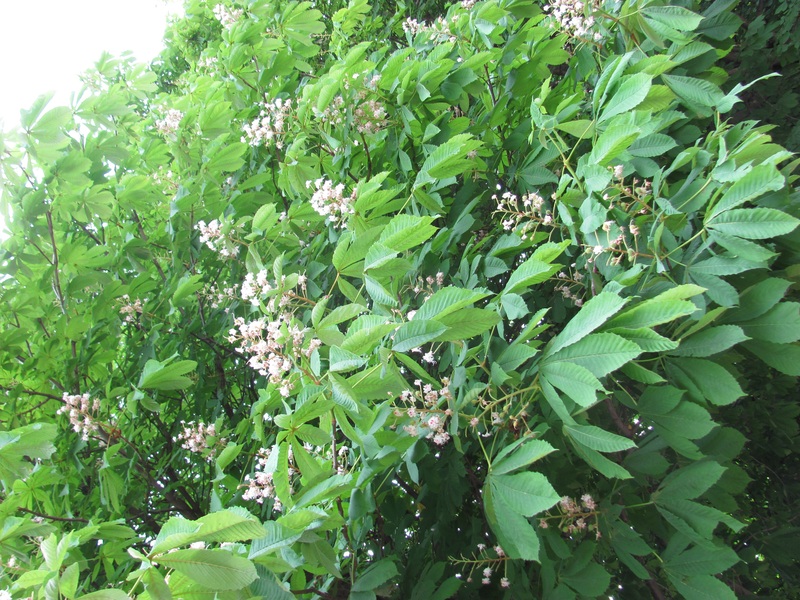 By late summer and fall the leaves are brown around the edges. 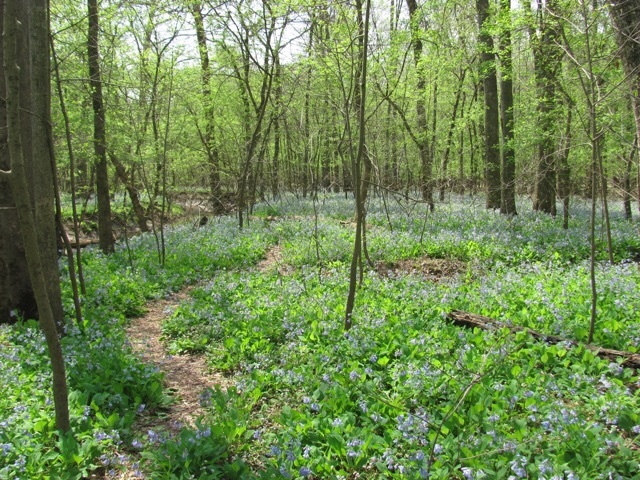 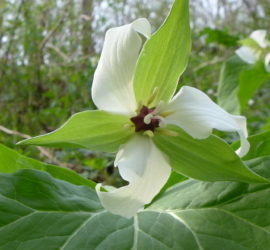 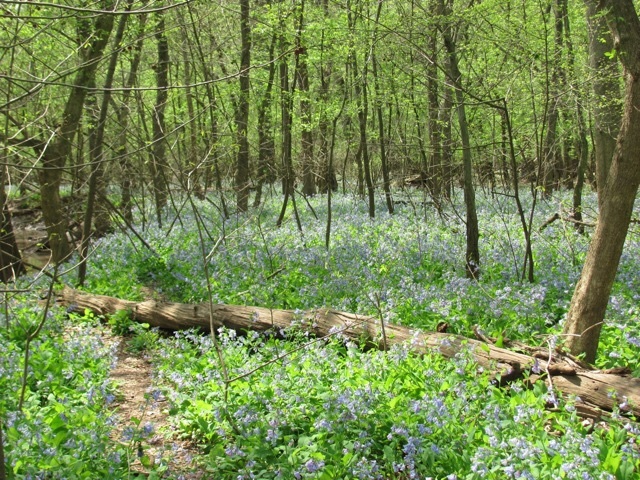 There are several blighting conditions that effect the leaves by late summer. 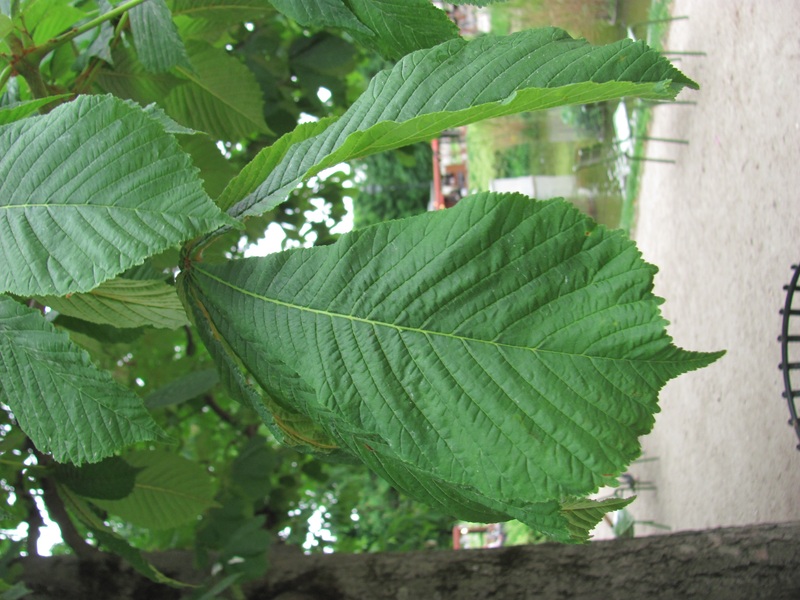 Leaf blotch and Leaf scorch are the ones that appear to affect the Horse Chestnut trees in Paris. 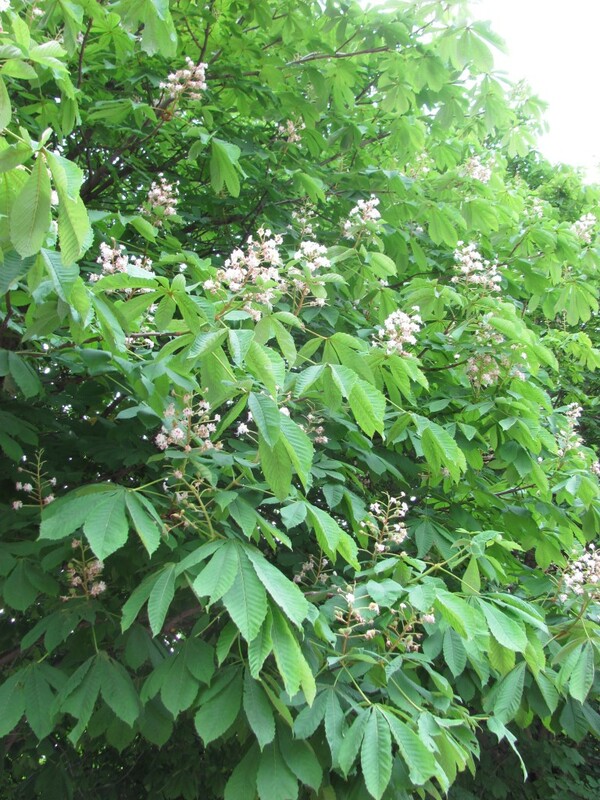 Leaf scorch affects the margins while Blotch creates spots with yellow margins. 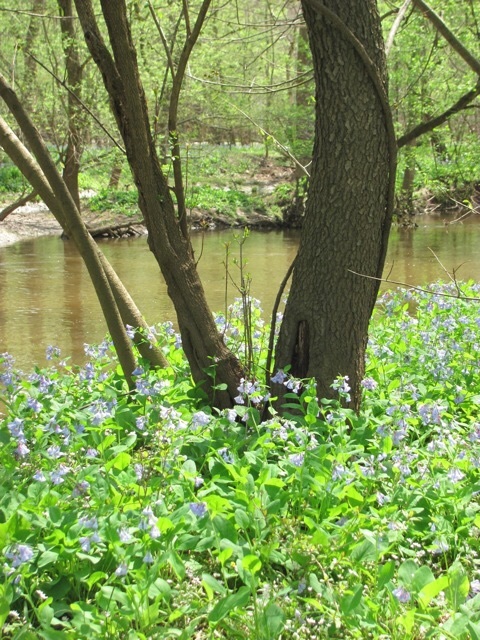 Nonetheless, the leaves in May are stunning as well as the pink flowers. 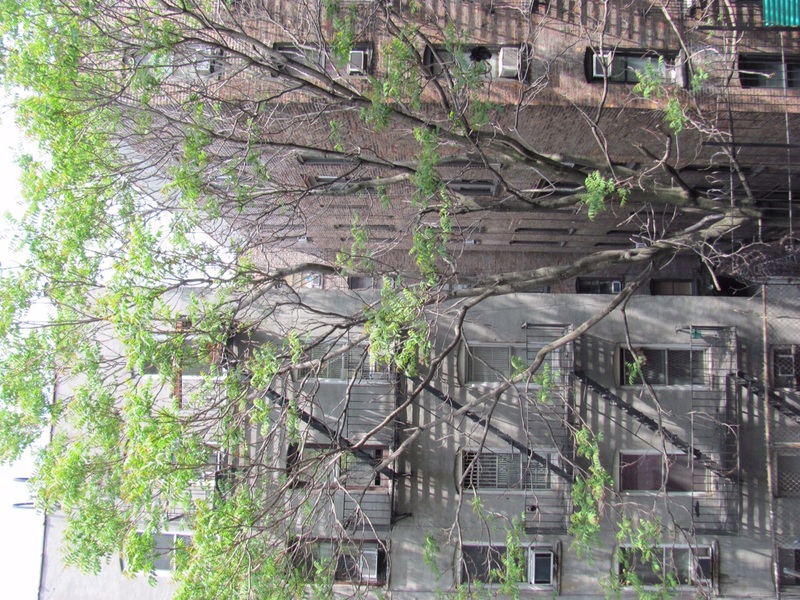 Ailanthus altissima, Tree of heaven growing in an alley north of 1 103 St. and Park Avenue. 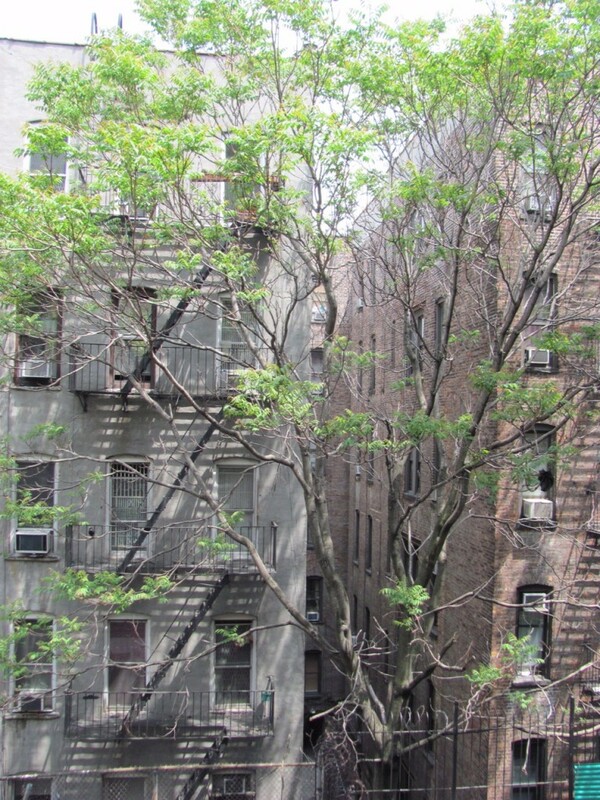 The tree was being visited by starlings. 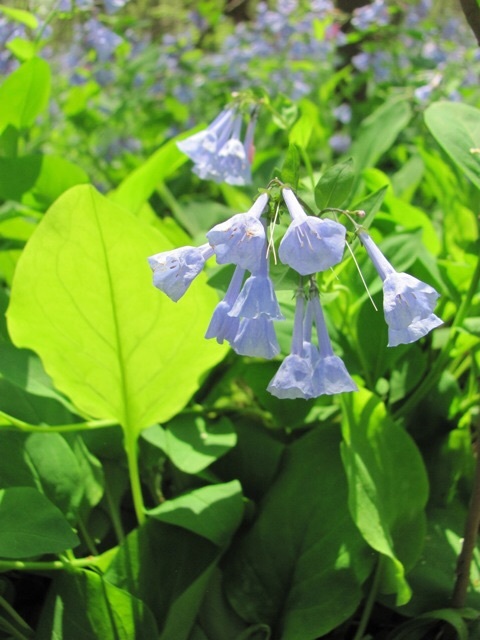 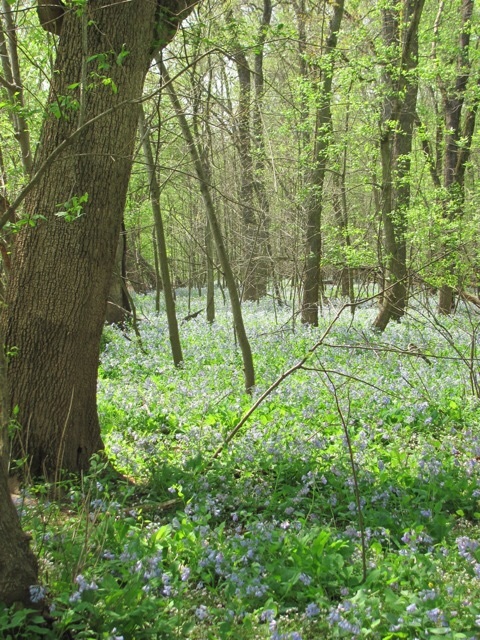 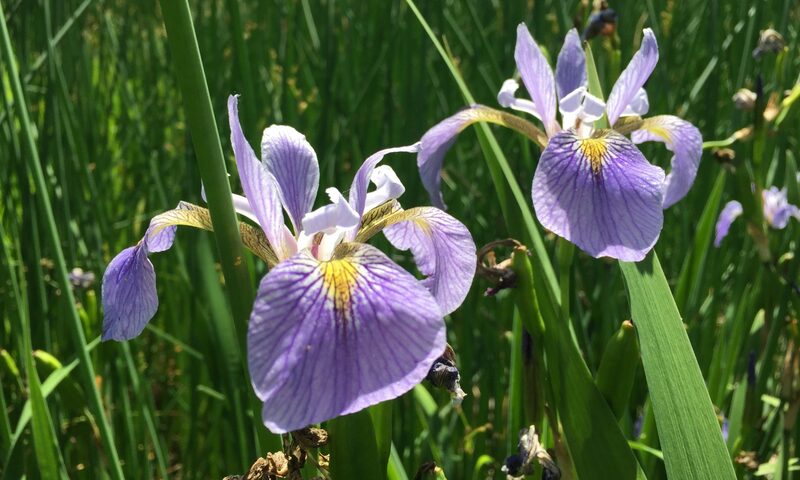 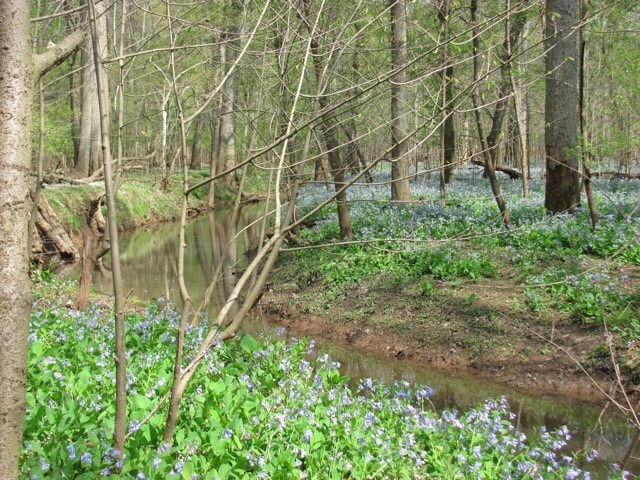 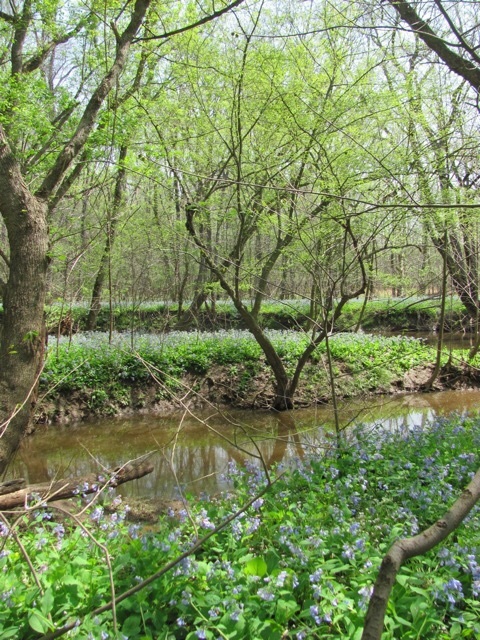 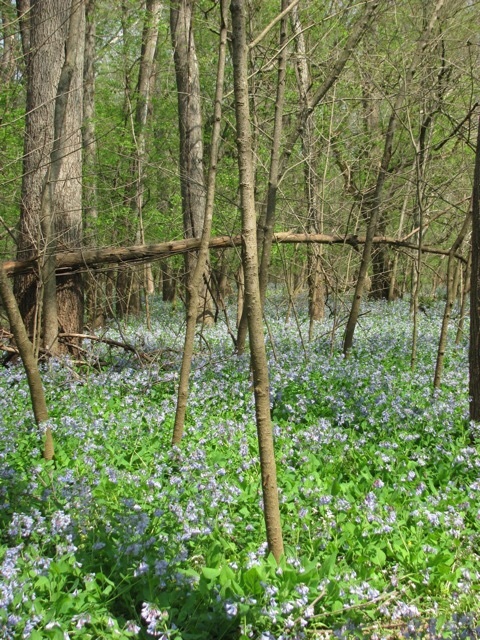 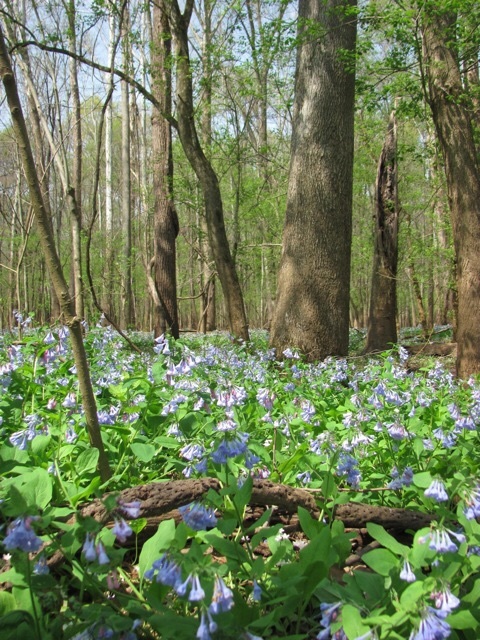 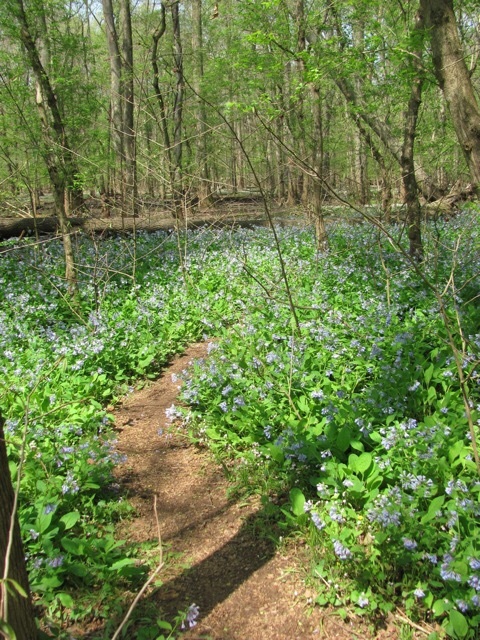 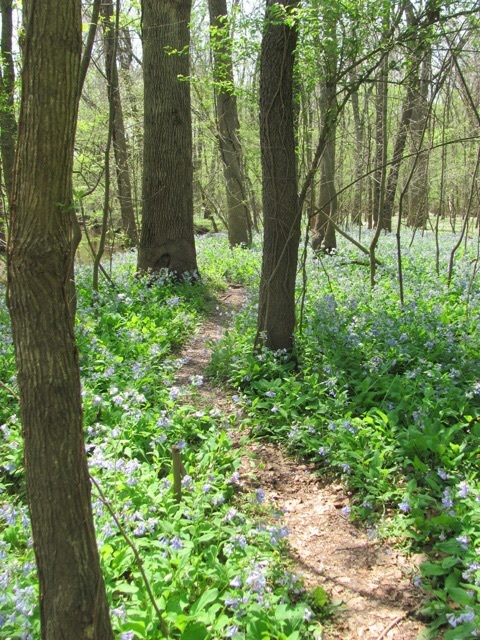 Enjoy these still shots of the bluebells at Bull Run Virginia, possibly the largest Mertensia virginica population in the world! 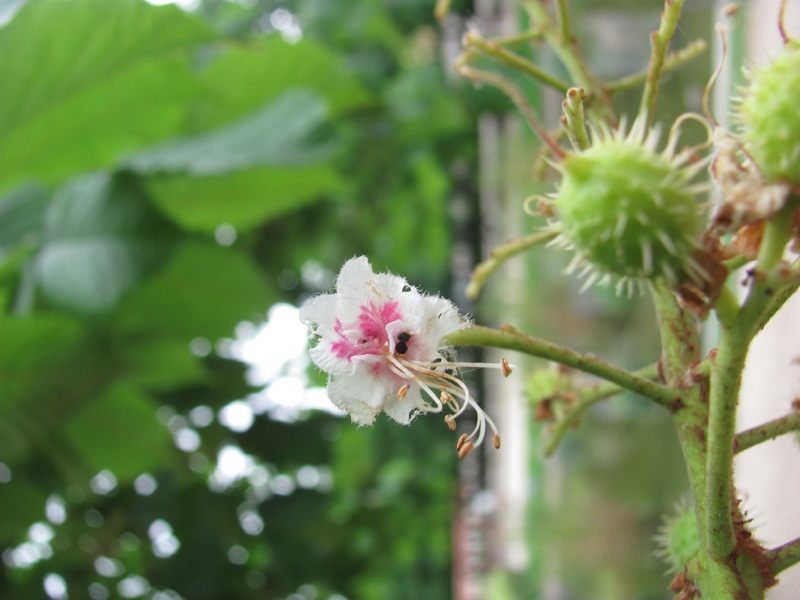 Scarlet Oak, (Quercus coccinea), flowers and young leaves. 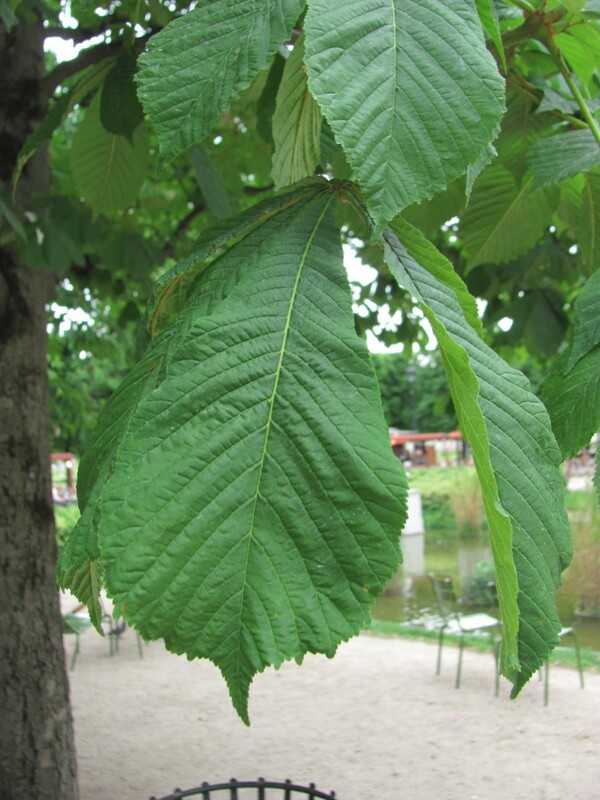 Red Oak, bark and trunk.